Mixing is an artform. It is that stage of making a record that most determines its final sound. All of the recorded tracks are assembled, processed, added to with effects, balanced, and placed in a stereo field to create an affective, musical aesthetic; a final stereo or surround mix of how it's going to be. Spatial coordinates can be inferred by each track's register and timbre (pitch and harmonics), its pan position in the stereo or surround mix, and its relative volume level in the mix. Dynamic range determines depth, panning marks the width of the field while the frequency range stakes out the vertical axis. The spatial coordinates of the sound in a mix constantly changes in one dimension or another with the movement of the song. Both rhythm, and the duration of any individual sound belong to the dimension of time. The relationship of each track's position in the space, each separate sound in the mix, forms geometries though not necessarily Euclidean geometries. As the song moves along, these ever-shifting geometries can give an impression or a simulation of traveling through space. These spaces appear affective in ways that range from triggered gnostic experiences to just making you feel better, a mood change of some kind. This perspective on mixing takes an architectural, spatial approach to the construction of the sound environment that becomes the final mix of a song. With mixing we are creating a space for the music to live in, for the music to become alive in. There are many different perspectives and approaches to mixing possibly as many as there are competent mix engineers though with some overlap between them. An individual mix engineer can utilize multiple perspectives and take completely different approaches depending upon the music. The best way to learn how to mix is by doing it ... a lot. You can read about it all you want, watch YouTube videos of star engineers explaining their techniques, sit in on sessions with experienced mixers - all that is fine and can be helpful but only if you have a way of applying it to mixes of your own; putting it into practice. Old school animators have something they call pencil mileage - skill at drawing comes from doing it over and over again. So I strongly recommend getting mixing mileage by mixing as much as possible. When I started mixing in the studio all my mixes sucked. One day they stopped sucking. I don't know why except maybe for the mixing mileage that slowly accrued. Mixing is almost always a collaborative venture in one way or another. It's rare, outside of home studios, that the same person engineering the mix is the same person who gives final approval. It could also be said that mixers collaborate with the equipment they use. In professional studios, freelance engineers join an unspoken alliance with the techs and assistants who maintain the gear. For us taoist vitalists who acknowledge the lifeforce in inorganic as well as organic matter, the equipment becomes alive in its own dimension allowing a mutual collaboration between human and machine; between one kind of machine and another. It's not much different from B.B. King naming his guitar Lucille and making love with her playing notes of the blues. A good mix engineer will "play" his studio equipment, his instrument, with the same passion, determination and openness to experimentation as any master musician. The first, most basic thing a becoming-mixer has to do is to learn to listen. Start with training the ear to differentiate the various instruments in a track, then the various pitch and harmonic relationships, the balance between the melody and the rhythm. In other words, learn how to hear a mix, learn how to enter the space of a mix by deep, concentrated listening. Listening is a function of attention. The more attention you have the better you'll be able to hear, sense, and feel a mix. I wrote three posts that expand these comments under the series title The Art of Listening, first, second, and third. Another line of listening development that should begin right away is to learn to correlate the sound you hear with the audio frequency spectrum as measured in cycles per second commonly called hertz abbreviated hz. What does 200 hz sound like as opposed to 2Khz? You start by separating sound into the fundamental ranges of bass, midrange and treble then zeroing in from there - lower mid, upper mid etc. Next would be to learn to hear the different ranges of a ten band equalizer which are set an octave apart from each other followed by a 1/3rd octave, 32 band eq eventually graduating to a fully parametric eq which means it has a sweepable frequency range and a sweepable bandwidth. To make a good mix you need to know what a good mix is for you. So listen to lots of music, music that you like, music that moves you. What is it about a particular mix that affects you? Listen to good productions on headphones and by good I mean what sounds good to you not necessarily what is commercially popular or what "experts" consider good. It could be good 'lo-fi.' In my early days the album Aja by Steely Dan was considered the ultimate sounding hi-fidelity studio record but I didn't care for it or the way it sounded; too clean, pristine and in a space without life to my ear. I learned much about the space of a mix listening to Love You Live by the Rolling Stones believe it or not. That served as a primary reference for mixing live rock-n-roll in nightclubs in the early '80s. The kind of music you wish to get involved with will suggest which songs or albums to reference, So if the aim is to mix commercial pop songs then you'll want to listen to music of that ilk, but it can also prove helpful to check out music contrary in style to introduce different influences into the genre. If you're looking to do all kinds of music and going for the best possible sound then I suggest listening to music that has lots of dynamics and depth, mixes that create a large space for the listener to enter. It should also be music that strongly moves you, if possible. Led Zeppelin's sound influenced me a lot for creating huge sonic landscapes with vast affective panoramas. Listen to any album that Jimmy Page produced on headphones and hear the techniques employed to create powerful, otherwordly sound environments from the fairly limited (you would think) palette of heavy blues rock. For instance, he does all kinds of studio wizardry to create interesting, diverse and dynamic vocal arrangements with basically just one singer, Robert Plant. Jimmy Page was an invocational producer with Led Zeppelin, he practiced magick with the studio. He intentionally, and quite successfully put his experience of magick into the album productions. Led Zeppelin IV, the one named by four singular sigils, is probably the strongest in that department, but also III, II, I, Houses of the Holy and Physical Graffiti show Thelemic influence; even In Through the Out Door, which Page didn't produce but did play on, carries the same current. The point is not to convince anyone to listen to Led Zeppelin and wake up inner spiritual desires while experiencing good mixes - they are hardly the only music that will do this - the point is to examine the area of percepts and affects in music; how does it make you feel (affects) and what sensations does it cause (percepts); how does music affect and change your consciousness, how does it heal or cleanse? Through percepts and affects. More on this later, but first a word from our sponsor. I began this audio odyssey mixing live sound for touring nightclub bands in Western Canada. The very first mix lesson I had was with a soundman for a bar band that I was temporarily helping to run lights for. This was 1979 and he was mixing on a Soundcraft 1 board, i.e. the first series of Soundcraft mixing boards. It was the old scoop out the lower mid register in the bass drum trick to get a punchier and better sound. The eq on that board had a boost or cut potentiometer (pot) at four different fixed frequency points, 60 Hz, 250 Hz, 2Khz, 10Khz, if memory serves. Those limited eq choices were a good way to get the ear familiar with the different areas of the frequency range. The first steady full time soundman job I had was with the band Sargent. The audition, doing sound for them in a club, was hilarious ... in retrospect. Their departing soundman told me that the 10 band graphic equalizer used to tune the P.A. to the room was wired backwards - the bass and treble frequencies were in the mid bands, while the midrange bands were where the bass and treble sliders were supposed to be. He played a tape through it and managed to convince me he was right. So I spent the night guessing at the eq settings as if they were backwards ... unbelievable! Not only do I barely know what I'm doing at this point, but I'm given this complete nonsense as I later discovered it to be. I still don't know if it was a big con and he was messing with me or if he really was that out of touch with how the eq worked. For some reason they hired me anyway. Later, I heard that they were going to pass on me but for some reason their manager at the time, whom I didn't know, lobbied hard to them to give me a chance and they did. I have no idea why that guy went to bat for me, maybe my Guardian Angel whispered something in his ear? It worked out for me, but not so much for the manager who got fired not much longer after that. I learned a lot working with them and became close friends with everyone in the band. The next memorable mix lesson came a couple of years later. I was mixing for The Tickets in the Riveria Hotel in Edmonton when the band's manager Don Destafano came up up to me while they were playing and said, " it sounds good, well balanced, but try turning up something in the midrange on Doug's vocal. I'm looking for a little more definition in it," By then I was mixing on a Soundcraft 1S board which had semi-parametric equalization on the channel strips. I turned up one of the mid-range bands 1dB and swept the frequency select pot until I found the right spot for better definition in his vocal. Don came back and said I'd nailed it. It's an eq technique I still use to this day from time to time - do a slight, narrow band eq boost and sweep the spectrum until you find the sweet spot that brings an edge of definition or clarity in the mix if a track needs it. The first, and one of the only semi-formal mixing lessons I had in the studio took place at the close of the mix sessions for The Burning World by The Swans and it was with Jason Corsaro. We had to do two more mixes of alternate versions of two songs that only had Michael Gira singing and playing acoustic guitar. Jason just turned me loose and said go ahead and mix them then gave me some good constructive criticism while I did it. It also felt like something more subtle was being transmitted, a passing of the baton. Within a couple of years after that, I did my first album mixes for a Bill Laswell production with the French pop group FFF; their first release, Blast Culture. Recorded in the Greenpoint studio we took the tracks back to my old stomping grounds, Studio East at Platinum Island to mix. Jason Corsaro mixed the first three tracks which had greater priority I assisted him on those then assumed the helm to mix the remainder of the record. The first song after Jason left wasn't going well, it wasn't falling into place and sounded chaotic and unorganized. Bill had me take all the faders down then start bringing up the instruments and working on them one at a time starting with the drums. The process we went through to get that song into shape became another valuable mixing lesson for me. That track worked but the next night I felt stuck on another song; it sounded flat and uninteresting to me. Bill had left for the evening and I was charged with getting the mix ready or nearly ready for the start of the following day. I took a break and did a short ritual to clear my head and regain focus. When I started back up again all these ideas of how to make the mix more dynamic and exciting began flowing in, a breakthrough in the mixing logjam had occurred. Bill liked the mix when he heard it the next morning; the excitement in the track was palpable to everyone. We never looked back, the rest of the mixes flowed smoothly. A few months ago I met up with Nicolas Baby, FFF's bass player at a dinner party in Montmarte. We hadn't seen each other for about 25 years. He told me that Blast Culture was an important album for them paving the way and helping to successfully establish the popularity of the band in France. It was good to hear that the mixes had translated well to the marketplace. I took away a few things of value from the FFF sessions. One was having fresh ears at the end of the mix when it gets printed and finalized. It's amazing how much better you can hear when you haven't been mixing and listening for 8 to 10 to 12 hours. We timed it so that the FFF song mixes were 90% finished by the end of the night then broke and made final adjustments in the morning with fresh ears. Of course, that was back in the day when record budgets afforded the luxury of mixing a song a day. In present time, it's not uncommon to mix multiple songs in a day especially since many projects are self financed, yet there are things you can do to refresh the ears before printing a mix. When mixing Blind Idiot God's Cyclotron album with Laswell at the Hit Factory in New York I would take a 10 minute break just before printing a mix and stand on my head. The rush of blood to the head has the effect of massaging the ears so that you begin to hear in a whole new way. I no longer do that, but sometimes get the same effect by lying on a couch with the legs raised above the head. It only takes about five minutes to make a noticeable difference. Even just taking a five minute break can help to recharge auditory functionality. In the old days mixing from analog tape, you automatically had a two to three minute listening break when the tape rewound to the beginning of the track. Now with the majority of music mixed from the platform of Digital Audio Workstations ( DAWs) you can loop the song or a portion of the song so that it constantly repeats. It's not hard to get caught up and not take a break for hours at a time. I used to joke to my assistants that someone should design a plug-in to simulate tape rewinding that would periodically turn off the program for a few minutes and force an ear break. Another thing I learned is that it can prove useful to take a short break and do something completely different, introduce the energy of a different octave as it were. I'll often bring in books when mixing, books of a an abstract or difficult nature slightly beyond my full comprehension. Some examples include Finnegans Wake by James Joyce, The Cantos by Ezra Pound, Burroughs cut-ups, poetry by William Blake or various titles on philosophy, etc. My practice is to take at least a 5 - 10 minute ear break every couple of hours and at that time I take a refreshing plunge into a literary pool. It seems incredibly relaxing and rejuvenating to break completely in thought and emotion as well as physically from the task of mixing. I return to the task with a fresh outlook along with fresh ears; often this is enough to inspire new ideas for the mix. It's like cleaning the palette when wine-tasting so that each vintage tastes fresh. When working as a perfumer blending up essential oils for people on the street you would clean the olfactory palette by smelling fresh ground coffee brought along for that purpose. Introducing the energy of a different octave harkens back to the cosmology of G.I. Gurdjieff and his Law of Octaves. The theory gets convoluted in its details, but I'll give a simplified overview. Every intentional cycle, every process trying to get to a destination of some kind can get divided into the eight steps of the octave common to Western musical notation. They use the common solmization of do, re, mi, fa ,sol, la, ti, do to designate the steps. Taking the process of mixing a song for example, you begin or "sound the do" of that process by going into a studio with your multitrack files or tape (analog files) and patching up all the gear you want to use. The final "do," the octave above the starting point represents the completion of the process, a successful final mix approved by the client and one that hopefully rocks the world. There are two points in between the first '"do" and the octave above where it is said that the energy starts to go off course and these occur at the "mi-fa" interval and at the "ti-do" interval. These correspond to the points in the scale where the intervals are semi-tones (half steps) as opposed to the full tones of the other intervals. According to G's Law these intervals require a shock of some kind to prevent them from going off course. These shocks don't have to possess the jolting nature of electrical shocks or become scary surprises; shocks of this kind consist of the introduction of energy from a different octave. Finnegans Wake introduces a completely different octave, the octave of reading that book, into the song mixing process. I must add the caveat that I use this theory, G's Law of Octaves, in any application more as a guideline to intuitively reference or ignore rather than as a rigid code to dogmatically follow. I'll use literature to inject outside energy because I'm inclined that way, but other things could work just as effectively - playing video games, looking at visual art; drawing something, watching a film clip etc. whatever turns you on outside of music. I will make an argument for injecting literary content into the sound studio situation. Good books introduce different perspectives, moods and spaces, different lines of freedom that can influence the creation of your mix. When mixing the dub pieces for Cyclotron, Bill Laswell, after playing a lengthy sound montage of various dub experiments, gave me Naked Lunch as a reference to tap into. Burroughs, the prototype dub engineer with his cut-up transitions and satirical deterritorialization of the status quo. Dub rivals free jazz in its methodology of deterritorializing music and sound - shifting sonic spaces through radical editing, sound effects, overdriven reverbs with massive ambience, delays feeding back and forth to infinity like a hallway of mirrors, tasteful distortion and whatever else the unchained audio imagination can do to make this new music by processing sound. For one dub piece I marked off a 16 bar instrumental section, randomly cut it up (razor blade and tape back in the day) then flung all the pieces into the air, picked them up and spliced them back into the track. Some of the pieces were backwards; the experiment worked the first time, no further modifications were needed, and it sounded incredible. That's one way literature can affect a mix. At another time in the Blind Idiot God mix sessions, it might have been a different dub song, I tried loading a sample of an elephant crying that I'd recorded at a temple in Madras, India into the AMS Delay then triggering it at a good, dramatic moment. The first time I heard it I couldn't stop laughing because of how ridiculous it sounded in context. Not every experiment works out, but you won't know until you try it. End of Part 1. Stay tuned for Part 2 where the subjects include using found ambience, percepts and afffects, mixing with confidence and more. 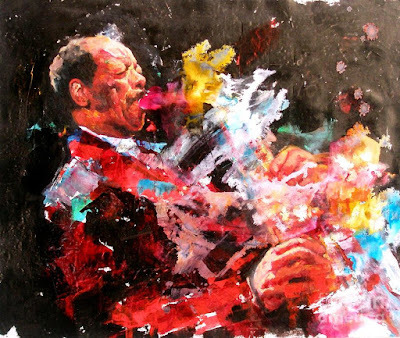 One of the most profound musical geniuses to ever grace this planet, Ornette Coleman shed his mortal coil yesterday, June 11, 2015 at the age of 85 and moved on to destinations and becomings unknown. 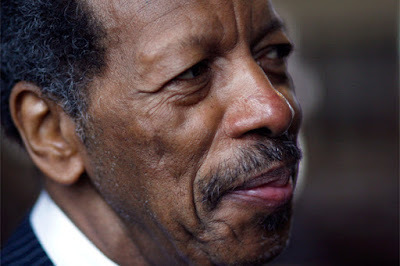 Ornette was a huge inspiration for me long before we met and it only increased after that; not less than two weeks ago I cited his comment that he wanted to make music like Bucky Fuller's Synergetics as highly influential for me. Ornette once told me that he made his music to conquer death. That's pretty much a direct quote as I remember it. I'd have to look back into journals or dive deep into memory cells to remember how the conversation got to that point; it wasn't non-sequitur nor did it take long for him to construct a context for the comment so that it sounded completely natural in that space; not dramatic, just factual. This took place the first time we met. 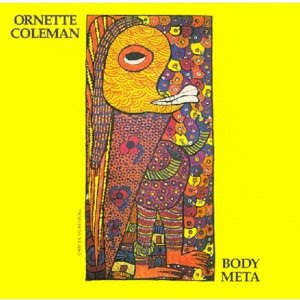 Bill Laswell had been invited to Ornette's loft in Soho to see the artwork and meet an artist Coleman was helping out and Bill took me along. That Ornette would talk about music and death to me the first time we met shows an extraordinary level of esp or intuition. Music and research into death, not always together - those two subjects have been a primary focus of my attention for years. He seemed to be able to instantly zero in on that. I was transparent to him in that regard. It shows to me that he was a master, an informal teacher of the mysteries who taught just by doing what he did. Did it work? Did Ornette conquer death with his music? This question can likely never get answered with 100% certainty, however we now have a unique time for anyone interested to intuitively answer the question for themselves with some measure of probability. Experienced labyrinth readers, people trained to make contact and deliver instructions to voyagers who have left their planetary bodies know from experience that contact with the being of the departed can be strongest the closer it occurs to physical death. Contact can get made in a variety of ways, it doesn't have to be formal. Play some of his music, light a candle, say a prayer, there's a million ways to make contact. Contact can go in two directions; indications of how he is doing may get discerned. People who were especially close to him will likely experience intense being contact with him for the next few months or more. 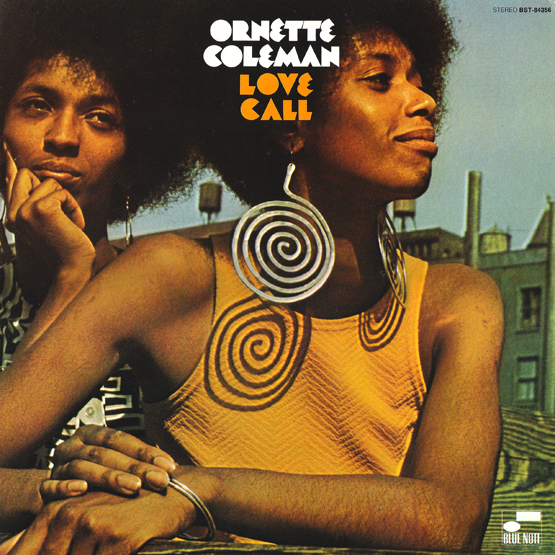 1968 Ornette Coleman album with Elvin Jones, Jimmy Garrison and Dewey Redman. Death, from one perspective, can seem like a free fall; the image of Alice falling down the rabbit hole. Whatever presence, will, and attention the Being can muster up might act like a parachute or maybe like a jet pack that can steer and guide the voyager's trajectory by the force of intention. You can be anybody you want next time around. Readings, prayers, kind intentions, anything of that nature directed to the being of Ornette Coleman can help assemble the parachute/jet pack effect. Even in the bardo if someone calls your name it will grab your attention and help you to focus. Playing Ornette's music at this time is like calling his name. That could be one way he used his music to conquer death. Ornette was low key whenever I saw him with a humble, but very warm demeanor, or should I say radiance because it was sensed and felt as much as observed. Even when harshly critical to Julian Schnabel for a few moments listening to his album mixes, he did it in a kind, compassionate way, not intending to belittle Julian or destroy the music, but rather speaking from on high as a foremost philosopher of music, a provocateur of innovative change responding to the repetitive nature of folk/rock/country song structures. I couldn't detect any arrogance or elitism either just one genius' opinion about something outside his common milieu; another classic Laswell juxtaposition. It was during that meeting that Ornette verbally responded to comments/arguments I made against his point of view. Except the thing was, I only made those objections internally with no idea anyone could hear my thoughts; a startling display of telepathy. The first time I recorded Ornette playing his horn was for the same Schnabel album. Though I had heard him play quite a bit on recordings, his saxophone tone through a vintage tube mic over the studio monitors felt so unbelievably rich and alive after hearing only a few notes; the very sound of his tone generated percepts and affects, i.e. those things that give cause to sensation and feeling; his very being, full of heart and soul came through both the tone of his horn and how he used it to navigate the melodic/rhythmic/harmonic storytelling corridors of musical content and expression. It was like being next to the sun. Another time Ornette was visiting Bill's Grrenpoint recording studio in Brooklyn when I asked him to explain Harmolodics. I listened closely to his explanation and at one point I thought I understood. I told him my conclusion and he answered, "no, no, no, that's not it at all. Harmolodics is music intended to bring out the fundamental of the listener without modulation." Sounds a lot like Crowley's 'Do what thou wilt' to me. Sufi Kirtan, the new musical assemblage from HuDost is now available for digital download ahead of the official July 31st release. Kirtan is the Sanskrit term for devotional singing or chanting. The core HuDost dyadic cyclone of Moksha Sommer and Jemal Wade Hines bring their considerable musical skills to this endeavor along with a distinguished roster of guest musicians to make this diverse, eclectic blend of nonsectarian religious expression. As is apparent from the album title, this offering crosses boundaries, abolishes borders, deterritorializes dogma to get at common musical values found in various sacred traditions. When I mixed the sixth track, Abrahamic Zikr I experienced a strong flash back to the energy of Jerusalem's Western Wall which I visited last year and wrote about somewhere in this post . Other tracks recalled fond memories of the daily morning kirtan at the Sivananda Yoga Center when I lived there while going to school. Sufi Kirtan delves into the depth of the human heart and how phenomenally accessible it is through music. Zikr is the Sufi term identifying a practice of chanting and singing; it literally means remembrance of breath, sound, love, consciousness, and of people, places, and situations needing one's awareness. Sufi Kirtan explores remembrance through interfaith chanting, songs, and is a total celebration of love, harmony, and beauty through music; it embraces the essence of zikr.